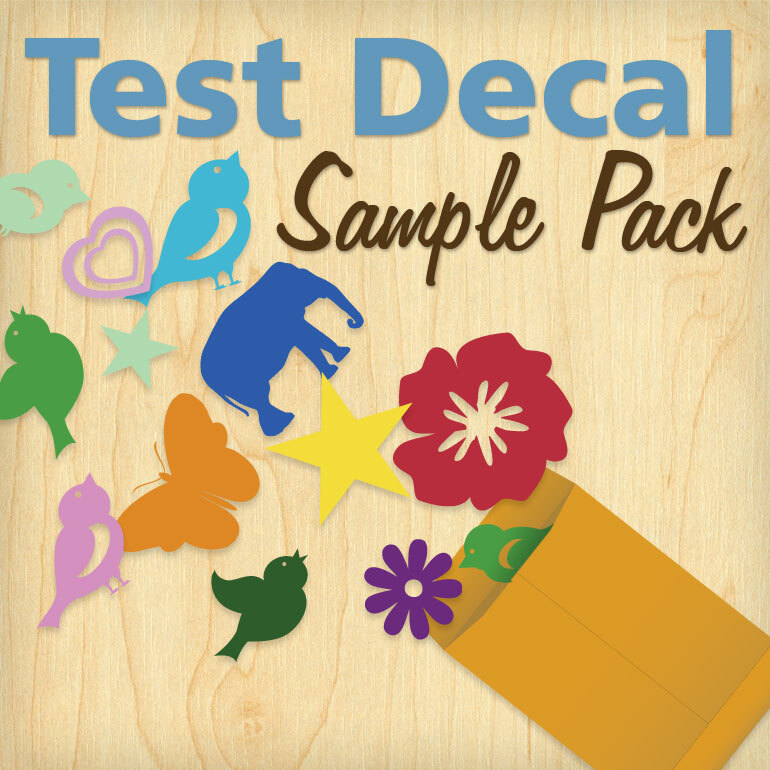 Our test decal sample pack is a great way to check out the material we use before you buy! We will include samples of both our matte and gloss vinyls for you to test out on your walls! This is a great way to make sure that our decals will adhere to your textured surface. Please note: Colors of samples will be chosen at Dali Decals' discretion. The intention of practice decals is to make sure our decals will work with your surface. You will receive two samples for testing. If you need color samples, please check out our color samples here! Shipping is free with our sample packs via USPS First Class. Sorry! This offer only good in the US.